An estimated 350,000 festival goers are expected to take in the tastes, sights and sounds of 100 countries in the festival’s cultural pavilions. But with all of the festival delights comes a lot of waste. 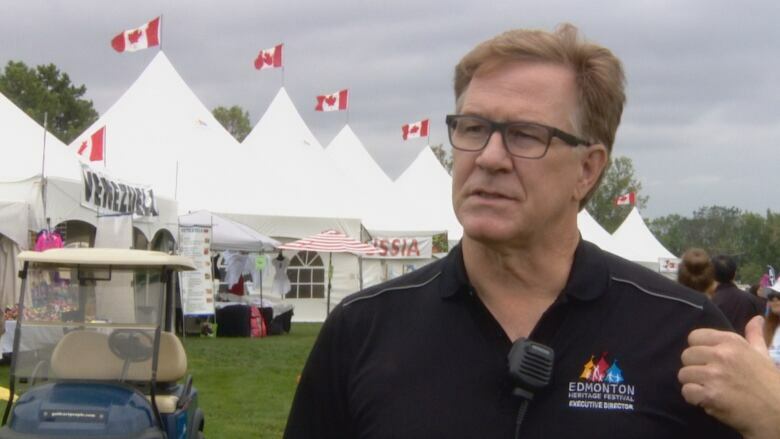 Edmonton's annual Heritage Festival is reducing its carbon footprint. 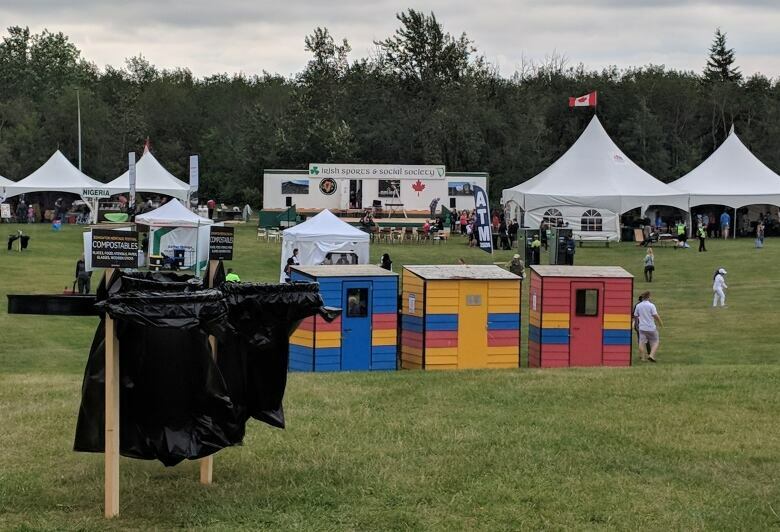 An estimated 350,000 people are expected to make their way to William Hawrelak Park over the August long weekend to take in the tastes, sights and sounds of the 100 countries featured in the festival's cultural pavilions. But with all of the festival delights comes a lot of waste. 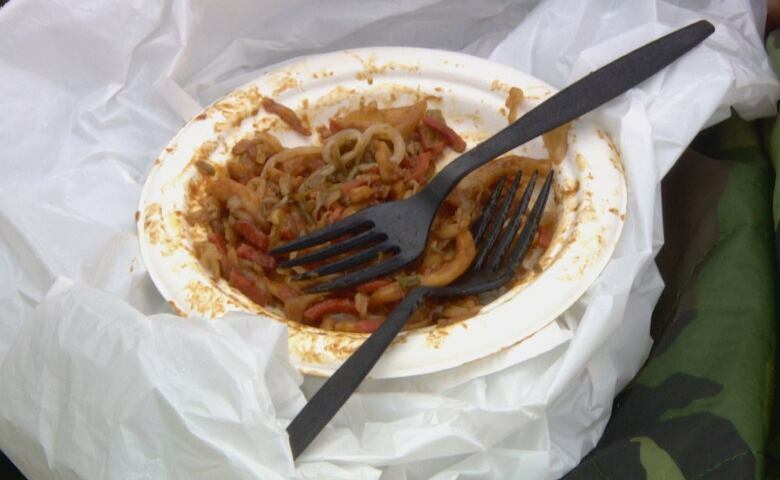 Aside from a few plastic straws used to drink bubble tea in the China Pavilion, all of the cutlery and plates used at this year's event are made from corn and are completely compostable, said Jim Gibbon, the festival's executive director. "The board wants to be net-zero over the next few years, and we're trying," Gibbon said. "And I think that compostable is really important, too, because that stuff you can literally bury it in the ground [and] in a few months from now, plants will grow out of it." Gibbon noted the compostable cutlery and plates cost about 40 per cent more than plastic, but the investment is worth the cost. Want to be an official culinary judge at Heritage Festival? The most notable sustainable initiative for the 2018 festival is an array of 44 solar panels, which power the newcomer tent in the southeast corner of the park, which features Cameroon, Ghana and Senegal. "We're changing the way we take in electricity," Gibbon said. 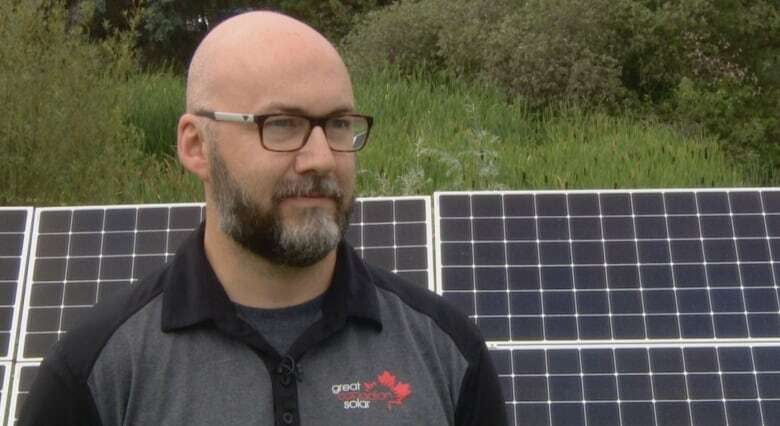 The solar panels were donated to the festival for weekend use by Edmonton-based company Great Canadian Solar, said company president Clifton Lofthaug. "We're going to hope next year to power even more. We're just kind of letting them get comfortable with the technology here this year," Lofthaug said. "Even in the cloudy conditions now, we're producing more energy than what they're using here." "We try to get rid of some of the misinformation that's out there," he said. "Alberta is a great sunny province. It's one of the best solar resources in Canada, so we should be tapping into that more and more. The use of solar energy has been welcomed by the people occupying the newcomer tent. "We think it's a very good initiative and idea. So far, it's worked," said Kofi Hagan, representing Ghana at the festival. The festival's next green goal is to eliminate the use of paper tickets by going electronic in the coming years, Gibbon said. Heritage Festival runs until Monday evening. Parking isn't available on site, and visitors are advised to visit takeETS.com for Park and Ride locations throughout the city. 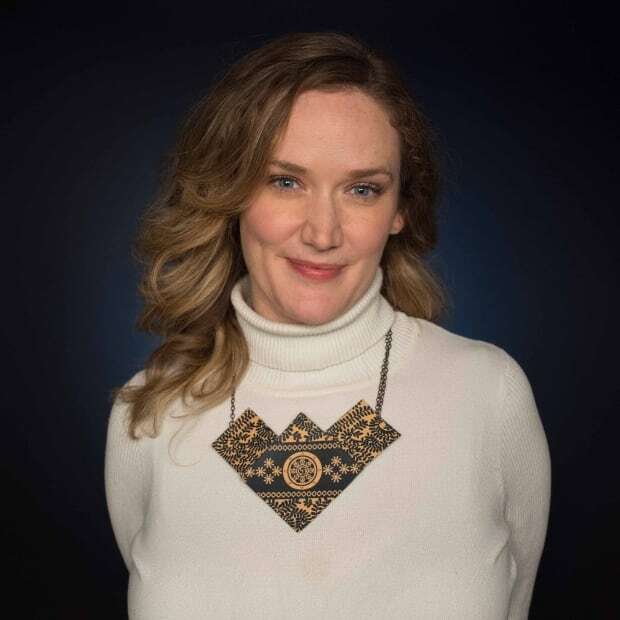 Sheena Rossiter is a documentary filmmaker and journalist. She lived in Brazil for nearly seven years working as a foreign correspondent covering the 2014 FIFA World Cup and the 2016 Summer Olympic Games. Prior to that, she was based in London and Barcelona. She is fluent in English, Spanish and Portuguese, and is an associate producer at CBC Edmonton.